How are you doing today? I know you guys are excited because the weekends is here. Yippee! I am excited too- I have to spend and enjoy this beautiful weather with my family. To make this weekend a perfect one. What about a super easy and fun recipe to try this week? Yup! I think your kids will love to help you peel the potatoes, or even sprinkles the cheese on top of your delicious Homemade Sunshine Skillet. Yes!sounds like fun right? I can't wait to get started and I think you too!! But before we start cooking! I'll just want to share with you, how I ended up making my own version of Bob Evans famous "Sunshine Skillet" Yes! We eat out 3-4 weeks ago at Bob Evans, and we fall in-love with their Sunshine Skillet. So, when my hubby celebrated his birthday not too long ago. 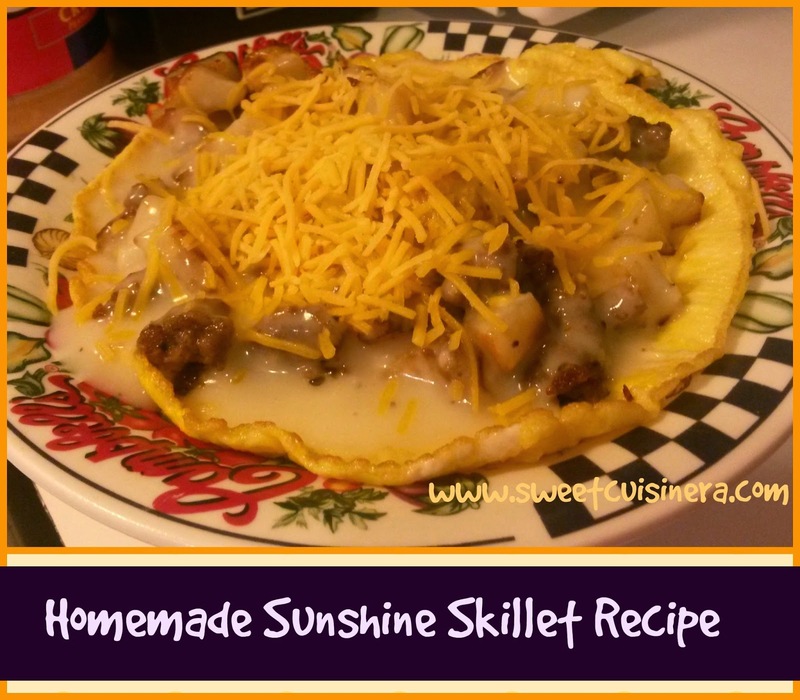 I decided to make my homemade version of Sunshine Skillet. Let me tell you! It was fantastic breakfast. Although, the gravy is not that perfect as Bob Evans but its pretty close. Yum! Getting back to that excitement! Let's make this Sunshine Skillet right now. Don't forget to have fun and explore this new recipe. 1.) Cooked the potatoes and sausage in separate skillet. Once it cooked and turn golden brown. Set aside. 2.) Make the gravy according to the package instructions. Which a super easy process! I promise:) Once the gravy is done. Turn the heat into LOW to make sure that its hot. 4.) 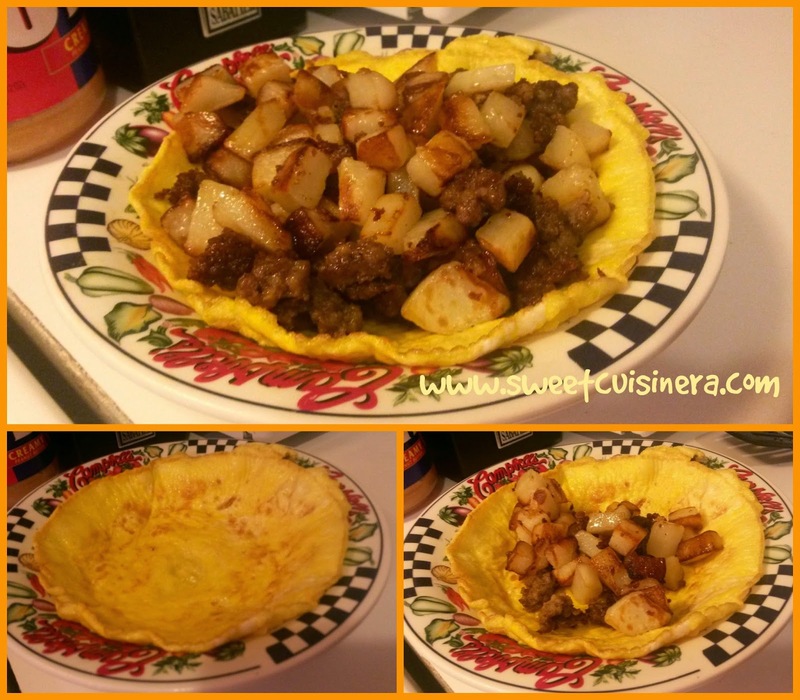 Once the cooked eggs is on the bowl, you can now add the cooked sausage and potatoes. File them up!! then pour the gravy on top. Then, sprinkle with lot of cheddar shredder cheese. Aside from perfect breakfast that I made for the whole family. 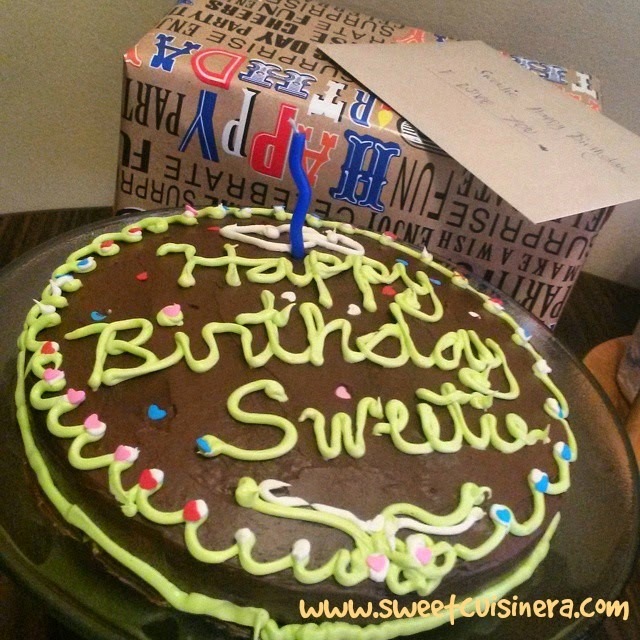 I also made a yellow cake with chocolate icing for my hubby. It's kinda like a tradition here to have a delicious cake on birthday's and hubby is no exception. We surely did enjoyed and had a blast on hubby's birthday. The birthday celebration at my in-laws house is GREAT! It was so much fun hanging out with family eating good food and just enjoying everyone's company. Finally! I'm feeling the spring weather for almost three days now, and it felt amazing! Aside from great weather experience. We also had so much fun celebrating my hubby's birthday last Sunday. Everyone had so much fun hanging out with the whole family. It was a blast! to keep that sweet moment together. 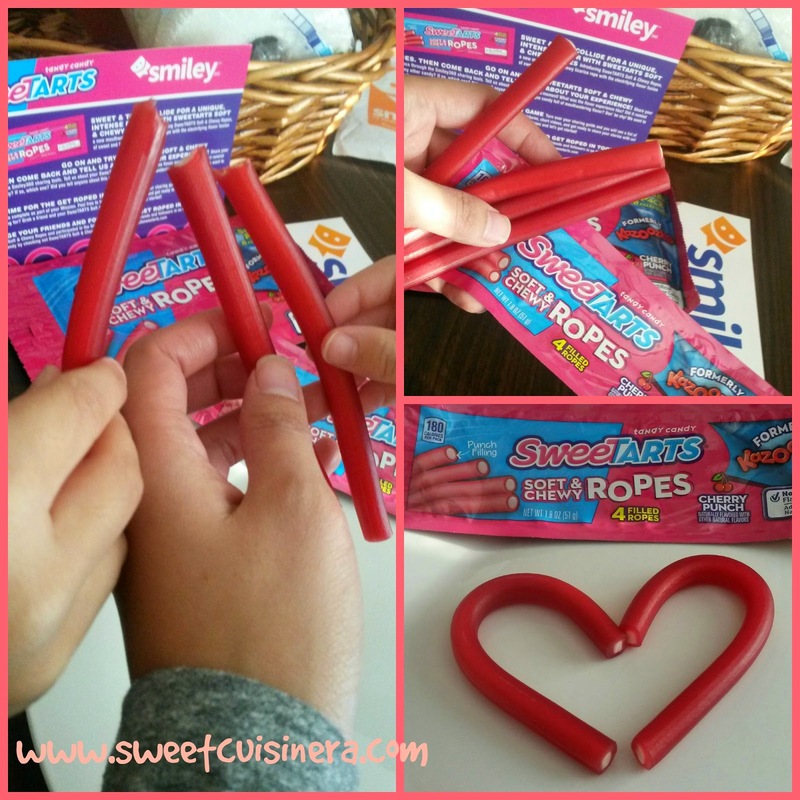 How about a sweet review of SweeTARTS Soft & Chewy Ropes? 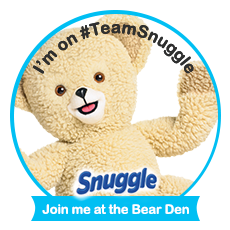 I'm really excited to give this product a try for FREE courtesy from smiley360. The combination of Sweet and Tart flavor is just perfect! Actually, I'm addicted to this candy it just so gooood! So, what is Smiley360? is an online community of influential consumers who try products and experiences for free and share their opinions with others. If you like trying new products for free and love to share your experience to your friends and family. Then, sign up HERE its totally FREE to join. What you have to do is apply for a mission, if you're qualified then you just have to wait for your free sample on the mail. 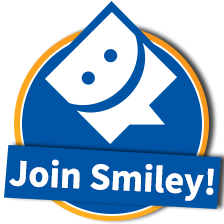 Share your your personal experience through smiley360 sharing tools and earn smiles before the mission expired. Back to my SweeTARTS Soft & Chewy Ropes mission. 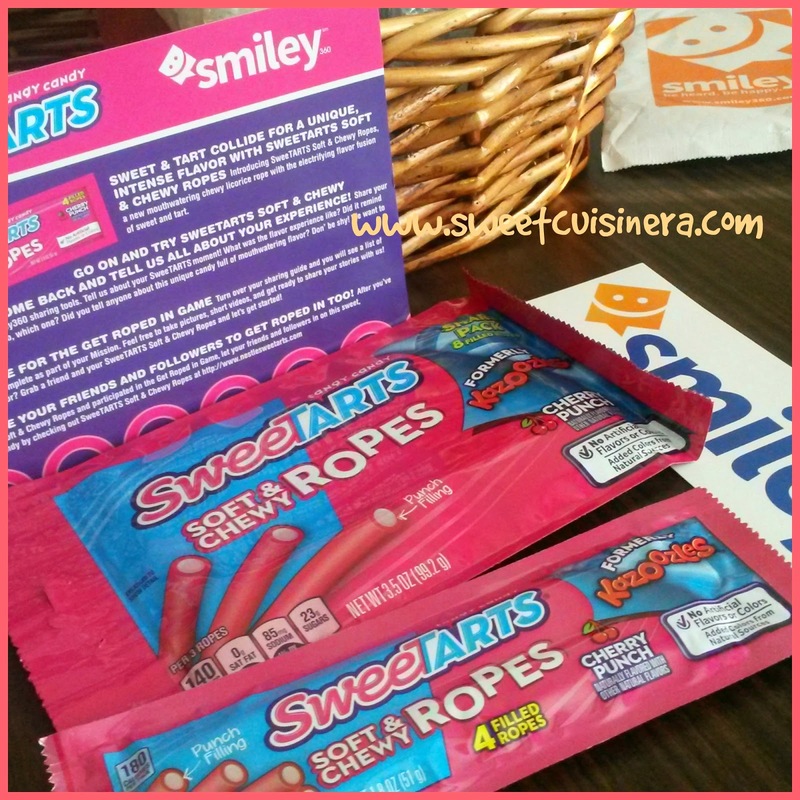 I'm super excited getting such a great sample on the mail, and this SweeTARTS soft and chewy Ropes is no exemption. Yum! Come on, Let's take a peek on what's inside my Smiley360 Kit. Balancing ACT: See how long you can balance the rope on one finger. Share the LOVE: Use two ropes to create the shape of a heart. Take a picture of it and tag someone that you " HEART"
My kids love the balancing act game and make some moves with no hands. I was laughing at them the whole time (kids had so much fun!). 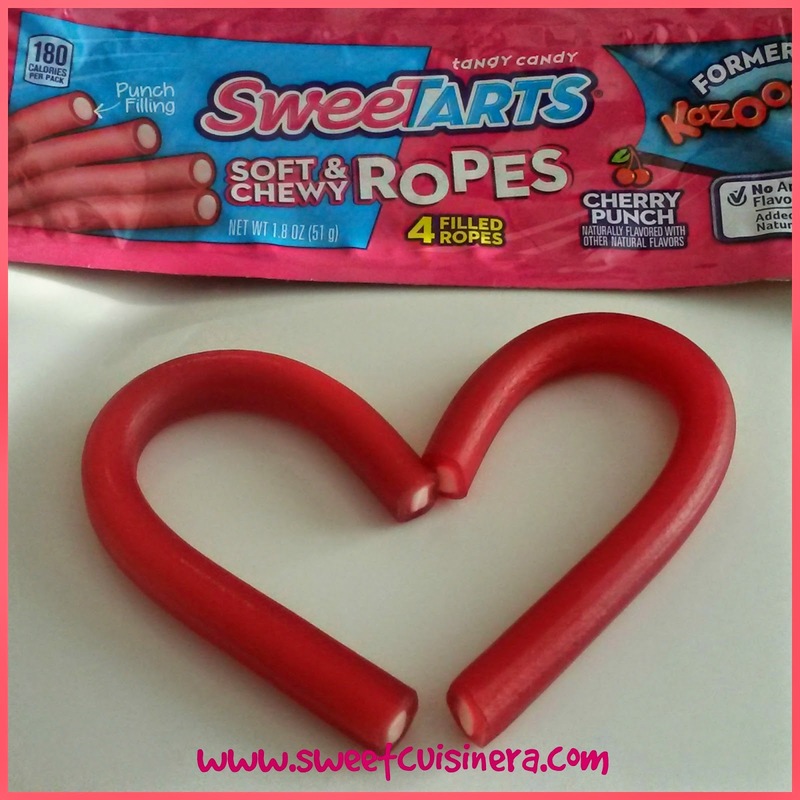 We also enjoyed taking photos of the SweeTARTS heart shape and tag hubby while hes at work. I think its the sweetest ever!